Former WWE superstar Steve Austin talks about mixing it up in Hollywood with UFC Hall-of-Famer Randy Couture on this week’s episode of Pro MMA Radio. “Stone Cold” was cast opposite “The Natural” on the set of Sylvester Stallone’s upcoming “Expendables” movie, in theaters on August 13. In spite of his reputation of being one tough S.O.B., “The Texas Rattlesnake” had no problem admitting that he’s way out of his league when it comes to professional fighting, highlighting the difference between pro wrestlers and pro fighters. Are you listening, Dave Bautista? 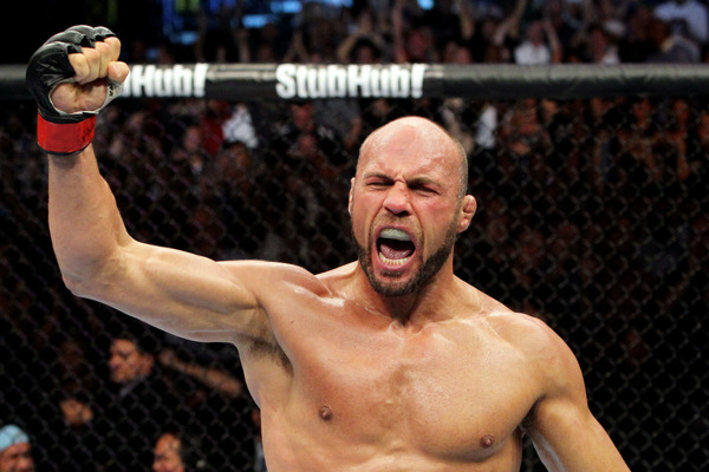 With his UFC 118 fight with James Toney on August 28 in Boston all but official, former UFC champion and MMA legend Randy Couture appears set on making his intentions for the bout well-known… take Toney down, beat Toney up. Makes sense, right? It also seems to be pretty evident that all the talk by boxers essentially condemning the sport of mixed martial arts has really gotten to “The Natural,” and that he is more than happy to put MMA on his shoulders in what will undoubtedly be the highest profile contest between MMA and boxing to date. So, is it gonna be as easy as Couture is making it out to be? Do you Maniacs agree that if Randy follows through with this game plan, aside from catching a shot as he goes in for the takedown, this fight doesn’t end without the good guy winning? Quotes:B-kok! Randy Couture ain’t no thing but a chicken wing! Geriatric boxing blowhard James Toney tells Fight Hype that he’s not playing any “goddamn games” against former light heavyweight and heavyweight champion Randy Couture in their planned UFC 118 bout on August 28 in Boston. “Lights Out” has very little going for him except the help of Juanito Ibarra, perhaps best known as the former trainer of Quinton “Rampage” Jackson. 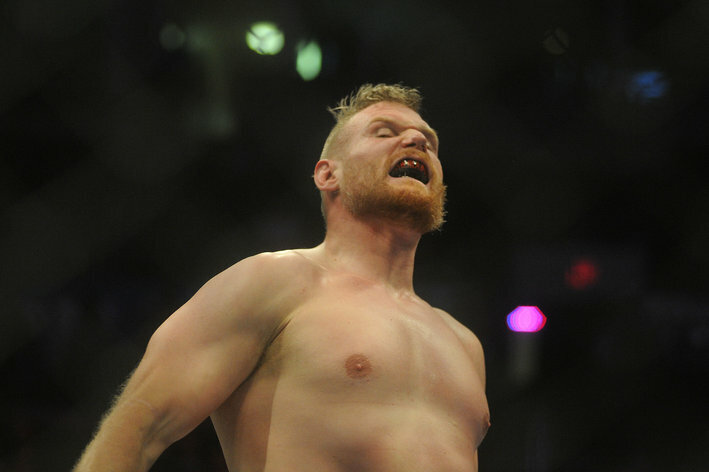 The NABO heavyweight boxing champion has called out everyone from Chuck Liddell to Brock Lesnar, citing his desire to tests himself against “the best.” You know the old saying, be careful what you wish for. Looks like the UFC is going to have its own 40-40 club. Past-his-prime pugilist James Toney wants to prove that boxing (with takedown defense) trumps mixed martial arts on any given Saturday — and he may finally get the chance to do it against former light heavyweight and heavyweight champion Randy Couture at UFC 118 on August 28 in Boston. UFC President Dana White confirmed the bout was in the works at last Saturday’s “Aldo vs. Faber” media festivities. You know the old saying, be careful what you wish for. UFC 118 is expected to feature a lightweight bout between current 155-pound contenders Kenny “KenFlo” Florian and Gray “The Bully” Maynard as they try to stake their claim to the winner of a possible championship rematch between Frankie “The Answer” Edgar and BJ “The Prodigy” Penn, also expected on the Aug. 28 card.